MTrax is a maintenance tracking solution that tracks the components and inspections for your aircrafts with entry updates for your hours, cycle counts, RIN and more. MxManager is an integrated aircraft maintenance software that includes maintenance management, inventory and reporting solutions that combines information about your aircraft and its maintenance requirements with inventory, purchasing, work orders and more. MX System is an aircraft recordkeeping software designed to meet the demands of your aircraft maintenance system capable of providing information such as maintenance component tracking, analysis, maintenance planning and more. 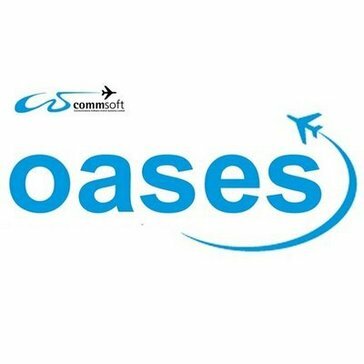 OASES is an aviation engineering and maintenance system that helps manage live engineering operations with capabilities in areas of data migration, training and interfacing. OSYRIS is an integrated suite of arrival, departure and flow-management software that allows resources to be used flexibly, reduces workload and manages queues safely and efficiently in today's crowded air traffic environment. OSYRIS can help increase the capacities of limited airside and airport resources like runways and airspace. Panel Planner is a solution for designing or re-designing instrument panels for aircrafts that gives you the control to design and build instrument panels in a manageable amount of time with features and functions to track cost, weight, and more. Effectively monitors aircraft performance and fuel consumption to enable airlines to control their costs. PFM is a scheduling software that provides customized solutions to fit your maintenance needs, like online reservation, SMS integration, fuel management, helicopter modules, ground systems and more. PRODDIA is a structural health management solution that provides mobile device support for your maintenance operations and integration with equipment already in operation allowing you to manage asset availability, lifetime, and expenditure. 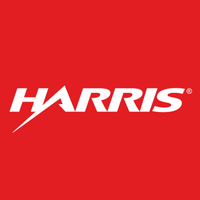 Web-enabled aircraft maintenance management and aftermarket parts sales software for overhaul companies and completion centers. Implementing ProMRO with its seamless integration to Dynamics AX allows you to manage MRO sales and operations exceedingly well within one database/ERP solution. Manages your journey log, technical records, maintenance control & AMO logistics, in a complete technical dispatch system. Intergrated Accounting Software System for 145/FBO/Maintenance facilities. RAAS is a browser based M&E workflow and data analysis solution for fleet operators, MROs and CAMOs designed to meet the objectives and demonstrate utility through levels of integration and automated reporting and data analysis features. Ramco offers next generation M&E MRO software for Defense, Airlines, Heli-Operators, MROs, Charters and cargo operators driving effective business outcomes. Ramco Aviation enables to drive optimization, reduce TAT, decrease AOG time and maximize productivity through disruptive tech around mobility, drones, wearables etc. Ramco Aviation suite enables clients to focus more time on business-critical activities, while the solution takes care of the rest. Ramco Aviation offers • Mobility Apps for Pilots, Mechanics, Storekeepers, Supervisors, customers to execute critical operations from anywhere, anytime • In Memory based Optimization enabling real-time scheduling & reducing AOG time • Aviation Chatbots driving ease of user interaction • Straight through processing Ramco Aviation MRO Software is scalable and can be deployed on cloud or on-premise. It supports integration with most of the existing ERP/ HR/Financial business applications. Powering 4000+ aircraft and 22,000+ end-users globally, Ramco is the solution of choice for Air India, Emirates, AeroNorway, Patria Helicopters AB, Republic Airways, Cobham, Columbia Helicopters and over 75 others. Ramco Aviation has been globally recognized by Frost & Sullivan. SAM is a aircraft management system that provides a modularised structure that allows you to configure the system to meet your business needs with service bulletins, work orders, maintenance tasks, sales and invoicing and more. Sensus MRO is a module-based Sensus MRO that adds new value to a standard: complements Quantum Control system with high value-added modules or enhances existing modules with new functionalities making processes more efficient. Sheorey ARMS is an aviation resource management system that provides features to help you manage erp, decision support systems, and more in an integrated solution. Skypaq eLogbook is an airworthiness management program that allows data to be recorded on the existing paper technical log and transmitted into an electronic format. SKYport is a central information platform for airport management with tools to manage master and transaction data and user interfaces, integration abilities and adaptations to your needs to help you manage your aviation business. Smart FUELING is a fuel management solution that provides you with a set of tools to monitor fuel usage in relation to all measurable factors. Discover what it's like not to hate your aircraft maintenance software. Manage your maintenance in minutes from any web-enabled device. Takeflite Maintenance Control, a secure cloud-based SaaS platform managing maintenance scheduling, job & work packs and storeroom inventory. Manage your inventory across multiple locations. Easily book out parts using barcodes. Generate purchase orders with just a few clicks. Track all your scheduled maintenance - components, inspections, airworthiness directives and service bulletins. Keep track of all your labor, parts used and more via Jobs. Easily create work pack and log book entries using templates you create. 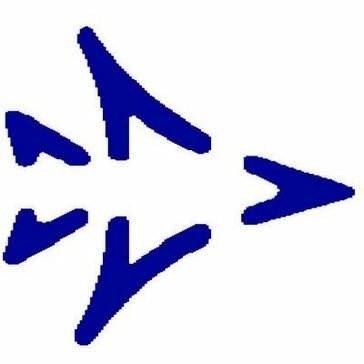 TracingFlight is an aviation maintenance software that helps with the traceability at the service of aeronautical maintenance. Transoft Solutions airside design and operations software solutions deliver the latest technology to ensure that even the most complex apron, taxiway or runway planning or operations tasks can be taken on with confidence and the assurance that accurate results will follow. Ultramain is a asset maintenance and logistics software that provides an integrated support for airline technical, flight, and cabin organizations with features and functions to help you manage your business. Interacts with your Quantum data to provide you with business data intelligence for your sales and MRO.